Narciso Rodriguez open-weave knit dress. For in-store inquiries, use sku #2455885. Exclusively ours. 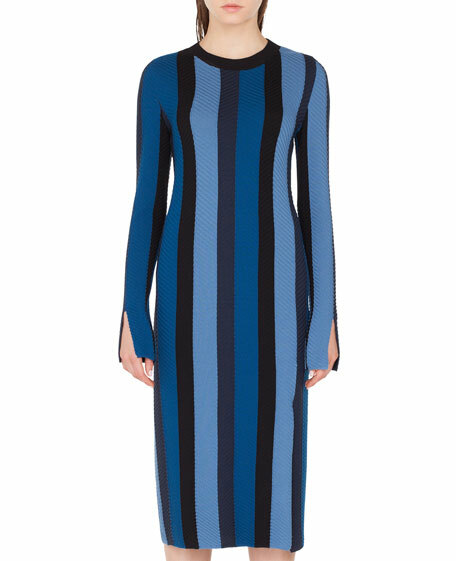 Akris punto midi dress in striped, herringbone ribbed merino wool knit. Crew neckline. Long sleeves with split cuffs. Body-con fit with thigh-high slit. Imported. 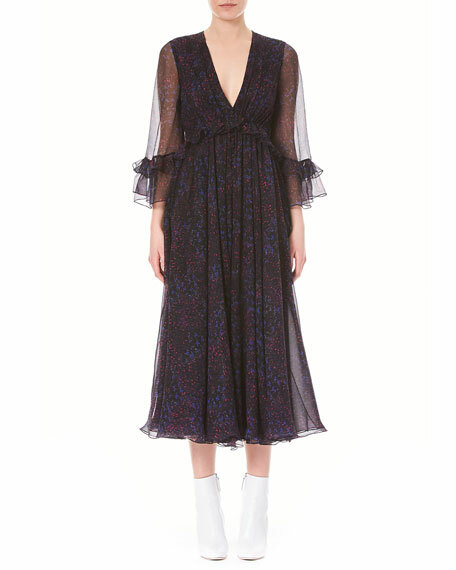 Altuzarra lace dress with ruffled trim. Deep V neckline. Long sleeves. Sheath silhouette. Hidden back zip. Midi length. Asymmetric hem. Cotton/nylon. Lining, polyester. Dry clean. Made in Italy. 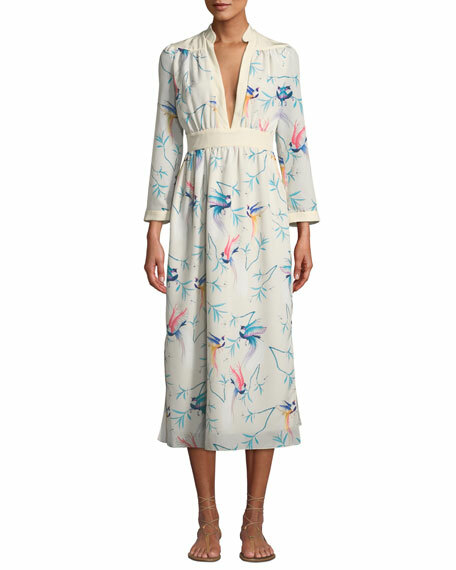 Borgo de Nor dress with bird-print georgette. Mandarin collar; deep V neckline. Long sleeves. Banded Empire waist. A-line silhouette. Midi length. Polyester, self & lining. Made in UK. Carolina Herrera floral-print silk chiffon with ruffle trim. Deep V neckline. Sheer 3/4 sleeves. A-line silhouette. Midi length. Made in USA of Italian materials.